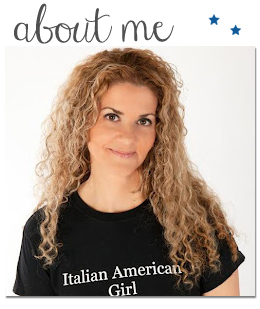 Italian American Girl: Award Winning Italian Musician, FRANCO BATTIATO To Make Rare New York City Appearance On Monday October 19, 2009 at (Le) Poisson Rouge. Award Winning Italian Musician, FRANCO BATTIATO To Make Rare New York City Appearance On Monday October 19, 2009 at (Le) Poisson Rouge. Multi-talented Italian singer, songwriter and composer Franco Battiato will make his first New York concert appearance in 10 years on Monday October 19, 2009 at (Le) Poisson Rouge. The 68 year-old, Sicilian-born musician will draw from a stunning repertoire spanning four decades: From his seminal 1971 prog-rock release "Fetus" (re-released in 2006 with liner notes by friend and avant-rocker Jim O'Rourke) to 2008's "Fleurs 2" which features duets with New York's Antony Hegarty (Antony and the Johnsons) and fellow Catanian Carmen Consoli. Battiato will present an intimate in-the-round show accompanied by a 7 piece group which includes the noted Italian string quartet Il Nuovo Quartetto Italiano. 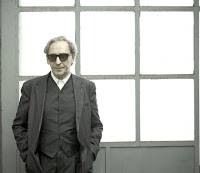 The award winning Franco Battiato is internationally regarded as one of the most original creators in Italian music from the 1970s to the present. Battiato's 1970s output embraced more electronic influences than his Italian prog-rock counterparts of the period such as PFM (Premiata Forneria Marconi) and found him opening European concerts for the likes of Brian Eno and Nico. Battiato's experiments in this arena culminated in 1978's "L'Egitto prima delle sabbie" (Egypt Before The Sands) which won a Stockhausen Prize for piano composition. Franco Battiato's recorded career continued into the 2000's with a diverse range of collaborators including Simple Minds' Jim Kerr, Middle Eastern-Electronica pioneer Natacha Atlas and the great Argentine diva Mercedes Sosa. His body of recorded work consists of some 38 studio and live album releases around the world with compositions in Spanish, French, English, Arabic and Sicilian languages in addition to Italian. Battiato has also composed 3 operas as well as classical works for orchestra, ballet and film soundtracks.